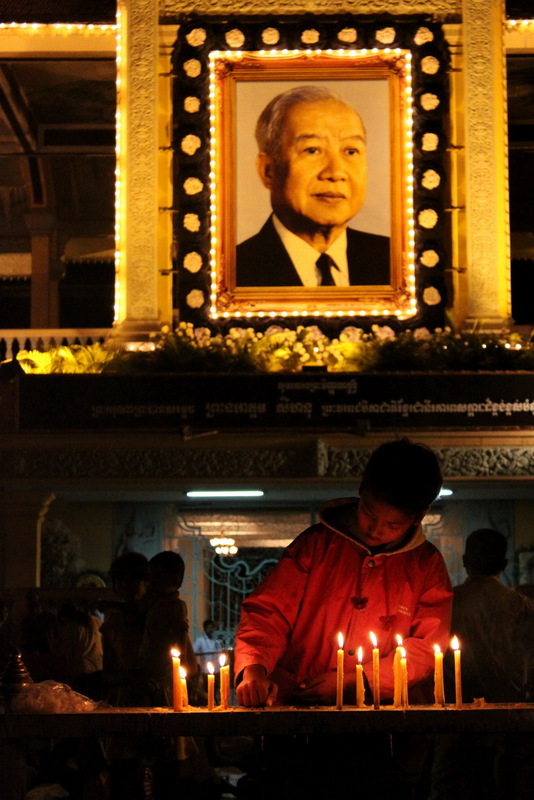 Born in 1922, Norodom Sihanouk went on to become one of modern Cambodia’s most revered and storied characters. 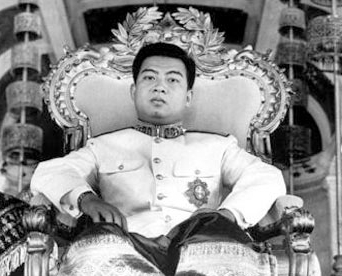 He ruled as King twice, once as president, twice as prime minister, was sovereign prince two times, chose and changed sides frequently, and even sided with the Khmer Rouge for a number of years, who went on to murdered five of his 14 children during their rule. The Guinness World Book of Records sites him as the politician who served the greatest variety of political offices, further cementing his legend in history. He passed on October 15, 2012 at the ripe age on 89, and I was surprisingly moved when I crossed paths with history. In the country to lead guide training for Smiling Albino, the travel company I co-founded, I made my way to the capital Phnom Penh on October 26th and immediately noticed a large picture of Norodom in front of the Royal Palace. Day and night smoke from incense filled the air in the area, being lit by Khmers paying their respect to their beloved “King-Father” as he was affectionately known. Norodom took an interesting step late in his rule, succeeding the kingship to his son in 2004, paving the way for a new era of rule in this nation struggling with its modern identity. Unlike many of the world’s royal families, the Sihanouks while wealthy, don’t have the ultra-deep pockets of their peers and rely on the state for much of their doings. Their power over the last couple decades has been largely ceremonial, yet Norodom’s voice was one of the only remaining checks against Prime Minister Hun Sen’s mighty hand. Many Khmers I spoke with expressed concern that with Norodom’s passing there will now be no voice of opposition or reflection against Hun Sen’s Cambodian People’s Party that has all but crushed any opposition. Shooting photos of mourning in front of the Royal Palace on the evening of Oct 27th, I found myself gazing at Norodom’s portrait for an inordinate amount of time. This man who was proclaimed God-King in 1941 at the age of 18, gained Cambodia’s independence from France in 1953, befriend European heads of state, China’s Mao Zedong, North Korea’s Kim Il Sung, India’s Nehru and managed to remain relevant for more than seven decades, goes out in style and with surely one of modern history’s most interesting resumes. With his passing Cambodia’s citizens say goodbye to a legendary figure but also head in to a politically uncertain future. 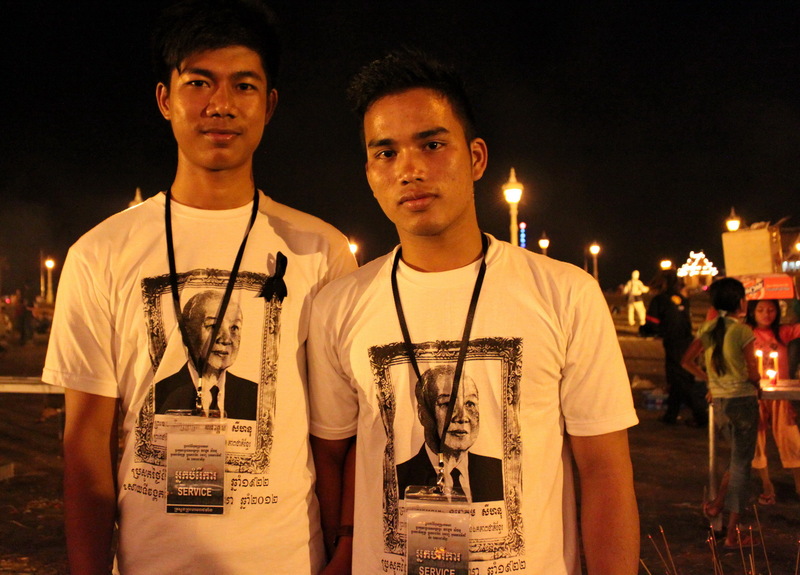 A long-present factor in Cambodia life and politics is no longer with them and the void is seemingly left empty. See some photos shot on the evening of Oct 27th, 2012. Nice write up Scott. Learned something new today.